We cater for WEDDINGS, SCHOOL GROUPS, CORPORATE EVENTS, SNOW TRIPS, TOUR GROUPS, FUNERALS, INTERSTATE TRIPS, SPORTING CLUBS, SHUTTLE SERVICES and AIRPORT TRANSFERS and much much more! 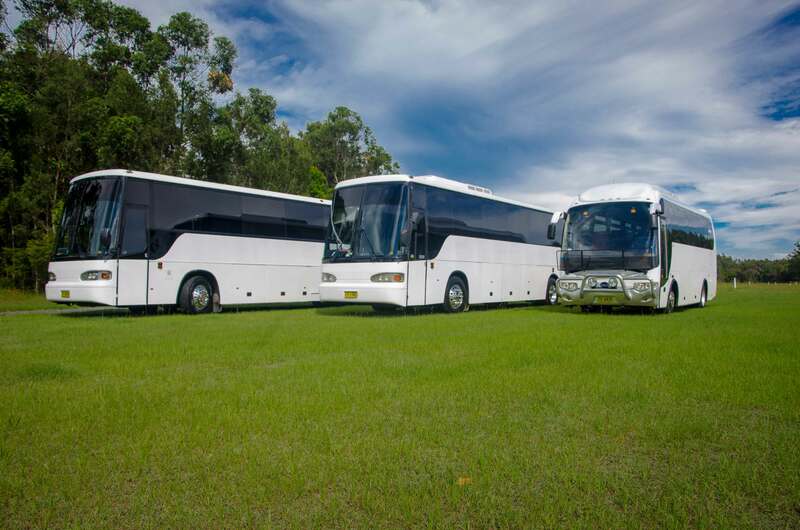 Byron Bay Coaches has a large fleet of buses and coaches that can cater to any event. We offer services on the following bus sizes; 13 seaters, 24 seaters 33 seaters, 34 seaters, 48 seaters, 54 seaters and 61 seaters. With over 15 years experience operating coaches we can manage the transport logistics of any event! We take the worry out of transporting your guests to and from your wedding and reception. Our coaches are air conditioned and immaculately maintained to ensure your guests are transported around on your special day in style and comfort. We run shuttles between the ceremony and reception locations and at the end of the day (or night!) we offer return shuttles so you can focus on being ‘Just married’. Byron Bay coaches also offers a touring service to cater for groups who are after a more tailored coach trip. Please contact us for a quote. With over a decade of experience in the Byron area, we have the connections to arrange the perfect corporate retreat. Let us take away all of the logistical problems and create a tailored package including accomodation, transfers, meals & local activities. "What a day, we got married up on a private property in the Hinterlands, Byron Bay Coaches picked our guests up from town, escorted them to the wedding and then transported everyone to our Reception. At the end of the night a chirpy driver was waiting to take us all into town to kick on. Service with a smile!" "We have been using Byron bay Coaches for years! Yewwwww The boys never let us down. Frothing surf trips from Byron to Sydney"
PLEASE CONTACT US AND ONE OF OUR FRIENDLY STAFF WILL ASSIST IN YOUR QUOTE!